and the wagons are ready to roll. Will they make it to Oregon? 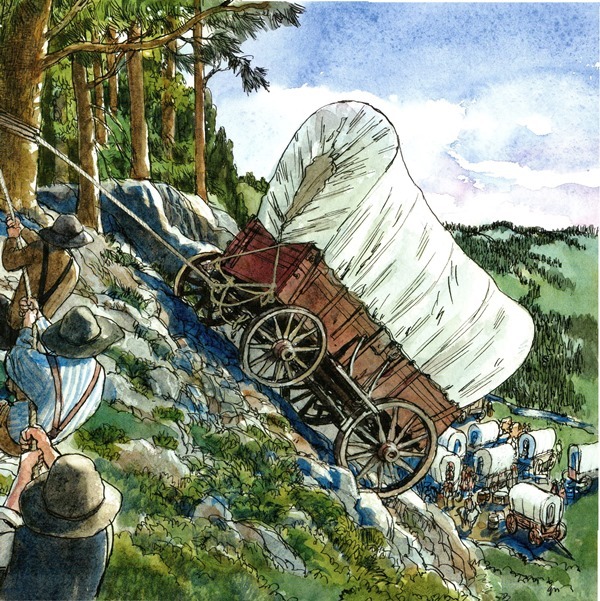 Author's Note: My husband Earl and I traveled the Oregon Trail by car for 18 days, visiting museums, trail centers, re-enactments. We were so moved by the experience! What courage, what spirit, what determination these men, women, and children possessed to walk 2000 miles for a new life in a new place. ...an excellent book to use in the classroom. Together these voices paint a powerful picture of life on the Oregon Trail. The historical notes...will further enrich the readers experience of this remarkable period in our history. The stories... -enhanced by Larry Day's beautiful ink and watercolor illustrations- will continue to resonate with readers long after they turn the last page. Amazon Customer Review, March, 2014. Preparations and anticipation, hopes and misgivings precede the reality of trail life...the overall presentation of trail life offers another fine choice for students of history. School Library Journal. This format will enliven middle-grades history classes as a readaloud or, better still, as an adaptable script for readers theater. The Bulletin of the Center for Children's Books. ...each vignette offers insightful glimpses into people's lives from this period in our country's history, while the information at the end offers some excellent historical content. KISS THE BOOK, March, 2014. 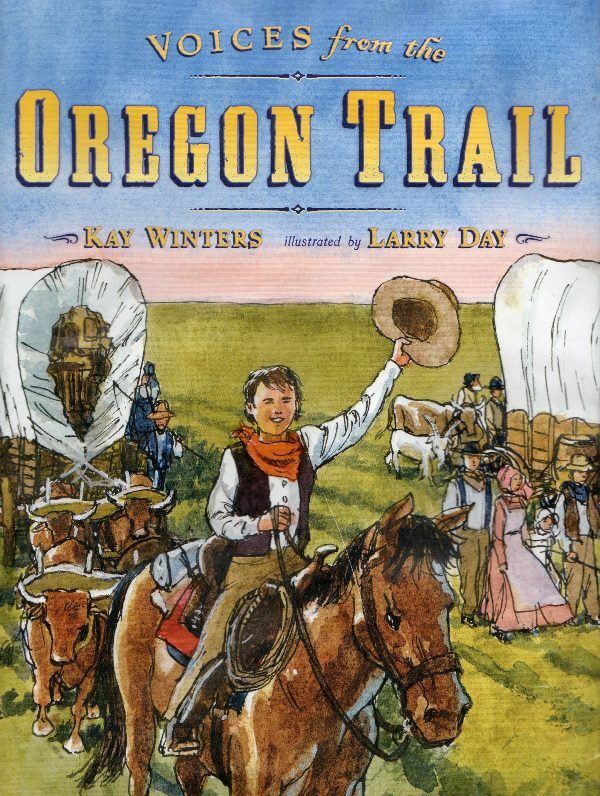 The poetry created by Kay Winters breathes life into the story of the Oregon Trail and the many immigrants who traveled there... The illustrations are colorful, active, and realistic enough for readers to feel part of the square dance, the river crossing or the hail storm. Teachers and librarians can use this text in the core curriculum for literacy skill development in reading as well as in the areas of writing poetry and/or memoir. It would be a valuable addition to any library. 3rdgradereader.net, Reviewer: Elizabeth Swartz, April, 2014. ... This book showcases a thrilling and often dangerous time in our history, bringing the story of the great Western Migration to vivid life. Union City(CA) Library Blog, April, 2014. But Mom, Everybody Else Does!